It has been a pleasure working with David and Bob. We recently upgraded our three radio stations and production facilities to WireReady. This is the first time in 20 years that we have changed our automation system, so as you could expect we had many, many questions before deciding on WireReady. Needless to say their customer support has always been above and beyond what I could have expected. Their knowledge of their product is second to none. In addition they are always willing to listen to technical questions that may be out of the "normal" realm of their support. We have only had WireReady on our stations for a few weeks, and I can tell you that I wish we would have made the switch sooner! Thanks again! I am loving WR32 here at WTNS. Being an on air person, it has made life much easier & has improved on air quality! As always, its a pleasure doing business with you and your great staff. I appreciate the one-on-one help and as I've said before, your tech support is second to none. It's been a pleasure to be associated with WireReady and its products. Our problems have been few and far between but on that rare occasion that they do come up, you and your staff have always provided the support we need in a timely and professional manner. I would like to take this opportunity to thank you, and everyone at WireReady, for a fantastic product and wonderful support. That the software does everything it should is a given. What is more important is the support we receive. This is not only support to figure out how the product works, but support in adding features that may only be of interest to one or two of the users. WireReady has been without peer when it comes to customer support. I have used many systems over the years, and have been in the position to recommend software to a number of stations. I have always, without exception, recommended WireReady. We are Radio Pennsylvania. We cover Pennsylvania with news and sports with 63 affiliate stations. What makes this system work. In a word, WireReady. We use it to gather our news, edit our stories, put together our newscasts and finally. Send those newscasts, and our entire program schedule to our affiliates on time. We have incorporated start and end tones so that our affiliates can either get the news live or record it for later use, when it fits their schedules. We have even devised a system so that our stringers can call in a leave sports or news stories on our system all unattended. WireReady and its family of products does what we want it to do, when we want it done. I'm a volunteer for the Radio Reading Service for the blind, using WireReady every day to slot our playlist and get programs ready for air. I'm an amateur, learning as I go, and find the service quite user-friendly. Most of my glitches are of my own making, and I can usually get them straightened out before an "ooops" gets on the air. The system works well. WireReady has been KQV's software provider of choice for the past 9 years. Our News Department has been using WireReady for the past three years. We're very satisfied with the results as well as the support. The programs allow reporters to assemble their stories and send them on the network for broadcast. WireReady also accommodates our need to interact smoothly with the A.P. wire and send our stories to our Web Producer. He archives the copy and audio files on our Web. While we have had some minor problems with the 24/7 WireReady support staff, our network won't allow WireReady to "look" at our problem over the Web, David Gerstmann has focused on getting our problems solved in a very professional and timely manner. I'd recommend WireReady to those news departments who need a good editing system. We have been using WireReady systems at our stations in Hawaii for nearly ten years. KAOI-AM on Maui is a news/talk facility that airs programming from many different networks and services. Because of our time zone, much of the satellite programming that we air is delayed. The system allows us to easily and efficiently record and playback a number of programs simultaneously as well as feed separate programming to our talk stations on other Hawaiian islands. A couple of years ago, a technician from one of the other radio automation companies visited our facility and was knocked out by the versatility of the ControlReady/CartReady system. At the time of his visit, we had seven different programs running and switching on seven different decks of the system. He said he wished his system could do that. The products work and the service is great. WireReady gets the job done for us. As you know, we started using Wireready last fall here at KJPW-FM. It quite literally has revolutionized our operation from a programming standpoint. Our staff has found Wireready easy to learn and convenient to use. Having all of Wireready's many functions available at the stroke of a keyboard or the click of a mouse makes all our people more efficient and more effective programmers, both on the air and off. 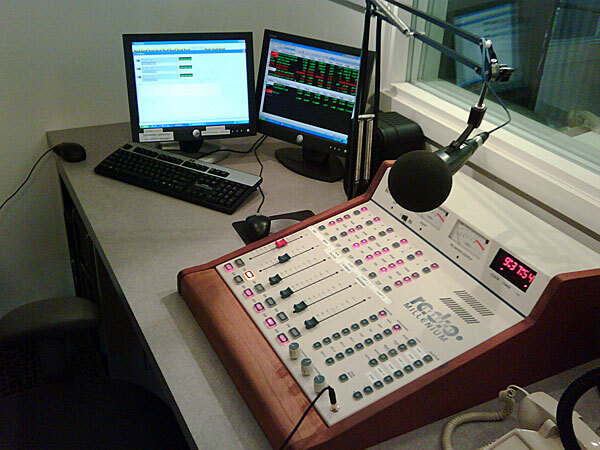 Wireready is a dependable tool for many aspects of radio programming. It's extremely easy for our programmers to play commercials and move from one function to another. Just a quick note about Wireready and the MNN Radio Networks, Inc. We have been working together for many years, and the five that I have had the opportunity to work with you, our relationship has been good. Whenever I needed tech support, I got a quick response from either Greg or David and got my problem solved. While some of the more complex issues, such as cart rotation or web development have taken a bit longer than we hoped, but nevertheless, the issues have been resolved. An experience recently showed just how much Wireready cares about their clients. We had a laptop stolen from the home of one of our employees. The laptop was used by our news and sports department for remotes, and therefore had the Newsready key on the system. (there was a break in at our employees house) With the key gone, we were now short one key to operate Newsready in our newsroom. I placed a call to David to ask about replacement costs. His response was, �don�t worry about the cost, let�s just get you a key so you can keep generating news.� That is customer service. Personally, I think that the fact that you have afforded those of us who are blind, with an accessible automation software is outstanding, and you are well deserving of the financial rewards and obvious credibility. We need someone like you in our corner, willing to go the extra mile to ensure that blind people are not limited by the expansion and development of broadcast technology. We here in Columbia, SC have been using WireReady since I believe 1991. Not only did the software do everything it was reported to do but paid for itself in the first year of use in the amount of paper/ribbons/print heads, printers, that we went through. When we depended just on the A.P. for their service we were calling them every other month for printer replacement/repair whatever. Since we started using WireReady, not only did we decrease our paper and ribbon costs by over $700.00 per year, but have had the luxury of printing what we needed, when we needed. And, for visually impaired board operators, when combined with a program such as JAWS, they are able to use the wire service as well as a sighted person. By the way, I also work contractually with a radio group, which consists of 6 stations. They are using WireReady for their ABC news wire service and have enjoyed every thing about it. I know of several other commercial stations in South Carolina that are using WireReady, based on my recommendation, and have never had any complaints. You keep up the good work you are doing up there. Radio PA / WITF has been very pleased with the quality of the Wireready product since we purchased the software in 1998. From day-to-day technical support to software enhancements and system upgrades, David Gerstmann and Wireready have been very flexible and willing to go the extra mile to have Wireready be an end-to-end solution for our newsroom operations. Learfield Communications has been using Wireready and its products since 1990. David Gerstmann and his staff have been willing to totally customize their product to fit our particular needs, and to spend whatever time it takes to do that. In almost every case, this involves rewriting their programming and codes to deliver what we're asking for. We made a massive conversion to updated Wireready software in 2002, and the WR staff spent countless hours of phone, email and programming time make changes for us. This was essential because our company owns a number or radio networks, so we're not quite like any other radio station or any other radio network. Almost any product we buy has to be customized, but few companies are willing to do it to the degree Wireready has. I recommend Wireready, Gerstmann, their products and their dedication to customer service.